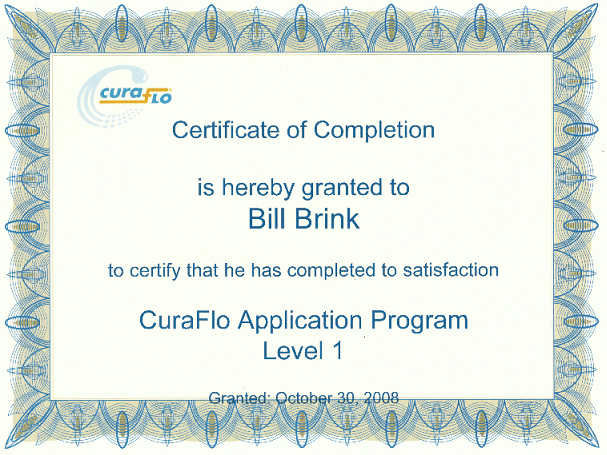 Browse through the different certifications and licenses that Brinks holds. Shop credentials, not claims! 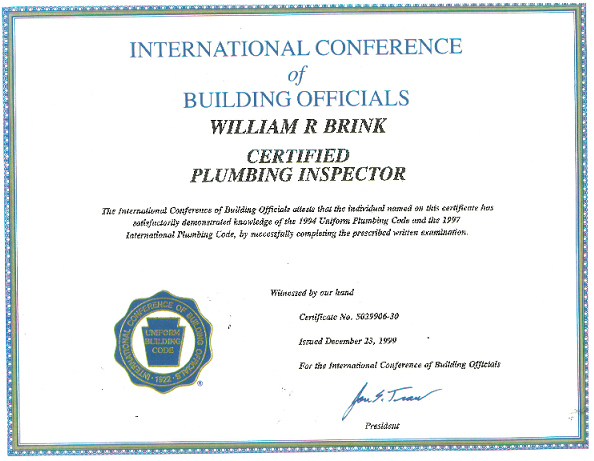 Bill Brink -- International Conference of Building Officials (ICBO) individual Plumbing Inspector Certificate. 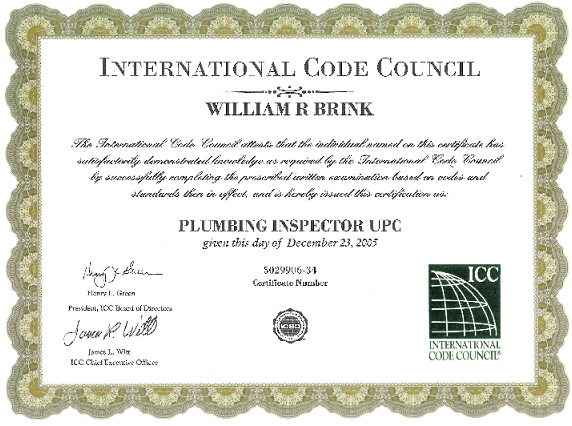 Bill Brink -- International Code Council (ICC) individual Plumbing Inspector. 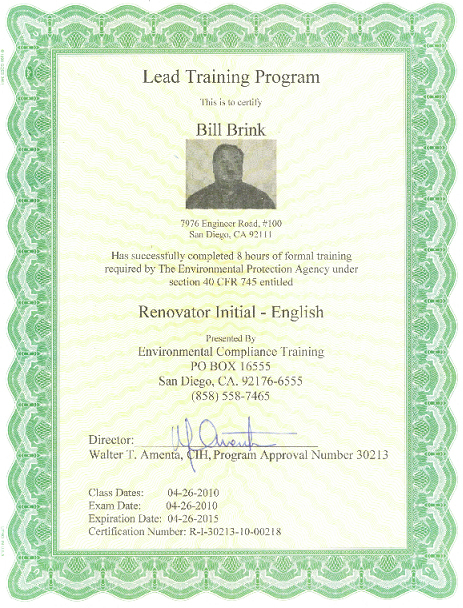 Bill Brink -- United States Environmental Protection Agency (EPA) Lead- Safe Training-Renovator Certificate. 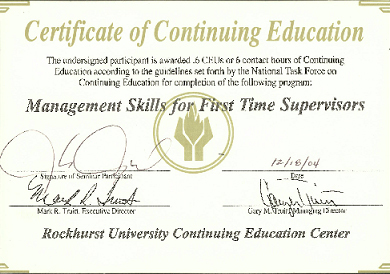 Chris Gilliam -- Management Skills for First Time Managers. 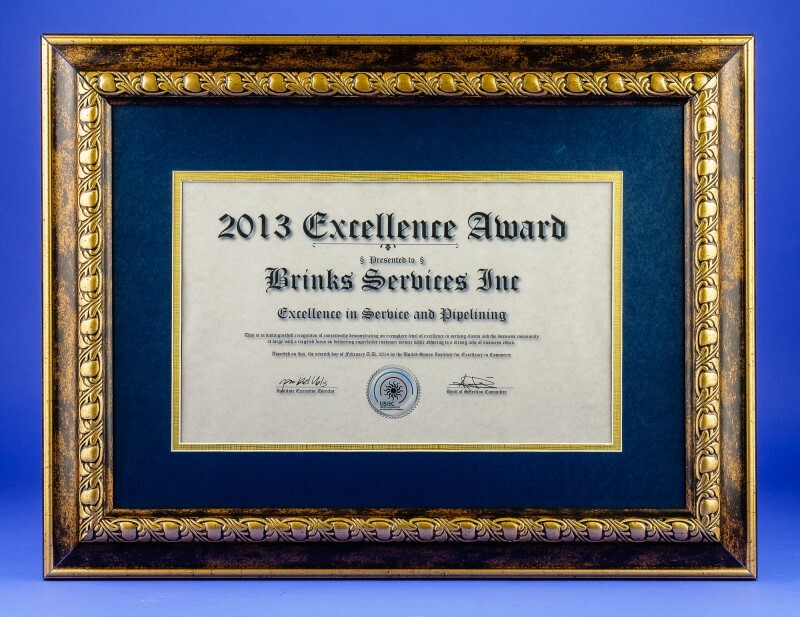 On December 3rd, 2013 Brinks attended the annual Better Business Bureau Torch Award for Marketplace Ethics event the Town and Country Hotel and Convention Center in Hotel Circle in San Diego. The event was attended by 400-500 of the San Diego business community's "Who's Who" along with many in the media. Brinks' is proud to announce that of the thirteen BBB award recipients, Brinks walked away with a BBB Torch Award for Market Place Ethics "Finalist" trophy. 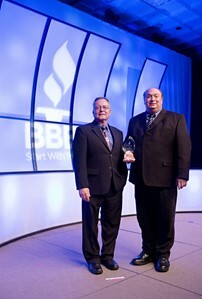 The BBB Torch Awards are the way San Diego celebrates ethical business practices in our marketplace. Businesses selected as Torch Award finalists have demonstrated a strong commitment to integrity, customer service and community involvement. When consumers see the Torch Award finalist logo on our company's website, marketing materials and social media platforms, it further enforces that we are among the top ethical businesses in San Diego and possesses a strong moral fiber. "The Torch Awards have given us the opportunity to show the San Diego business community our commitment to ethics and our customers," says Bill Brink, Pres. "We have made a conscious effort to conduct our business with integrity in the name of enhancing excellence in our marketplace. We are a business consumers can trust and the Torch Awards have given us the platform to share that." From their winning submission; "We find it fortunate that current trends in business dictate a higher degree of integrity and transparency. 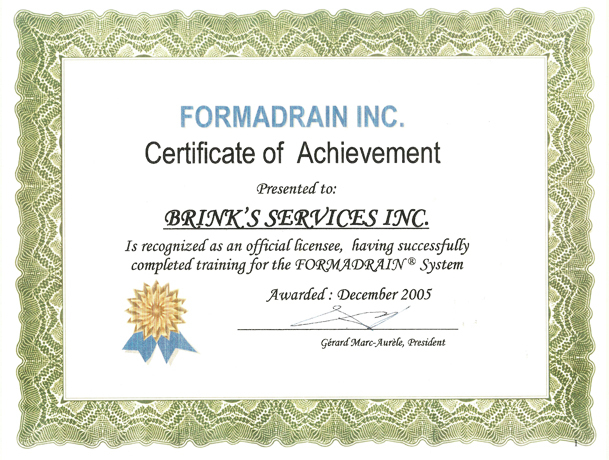 With increased emphasis in the marketplace on customer reviews and peer reviews, companies like Brinks stand to enjoy continued business growth organically; that is, earned increases in sales and profits due to ethical relationships within the community and the marketplace". 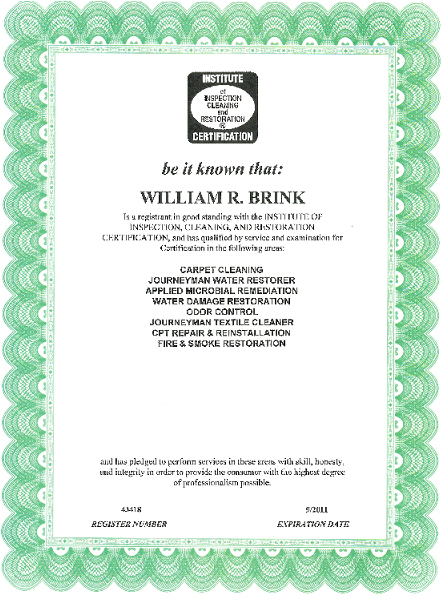 Brinks provides unique, quality solutions to the San Diego residential and commercial marketplace in the specific areas of plumbing service and repair, pipe lining and leak detection. For the past 16 years, the San Diego Better Business Bureau has hosted the Torch Awards for Marketplace Ethics to promote not only the importance of ethical business practices, but the willingness and efforts of outstanding businesses to ensure that our marketplace remains fair and honorable. The Torch Awards is open to all businesses and organizations that service San Diego and/or Imperial County markets. 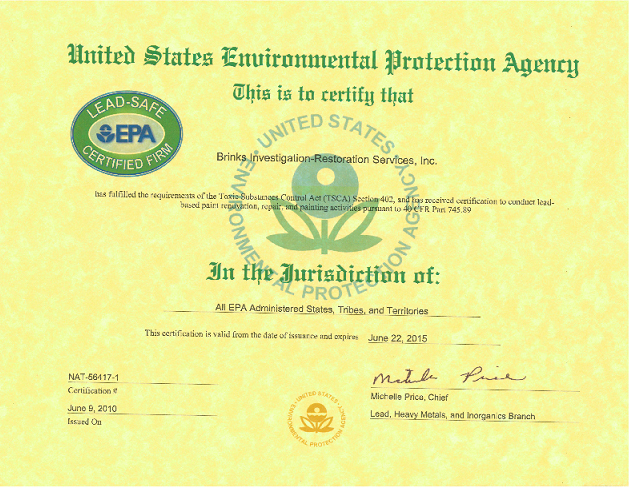 Companies must be in good standing with the BBB; however BBB Accreditation is not a requirement for entry or consideration. Each year, one winner and up to two finalists in eight categories, varying by the size of the company and one non-profit category, are presented with their own torch award. "The Torch Awards allow the BBB to honor businesses that epitomize ethics and integrity," said San Diego BBB President/CEO Sheryl Reichert. "These are the businesses that are doing the right thing for consumers in a time when so many others struggle to be accountable." 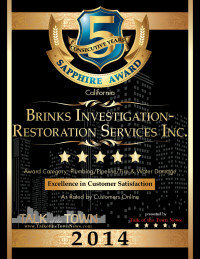 Brinks a local residential plumbing and drain service and repair company, has been selected again! 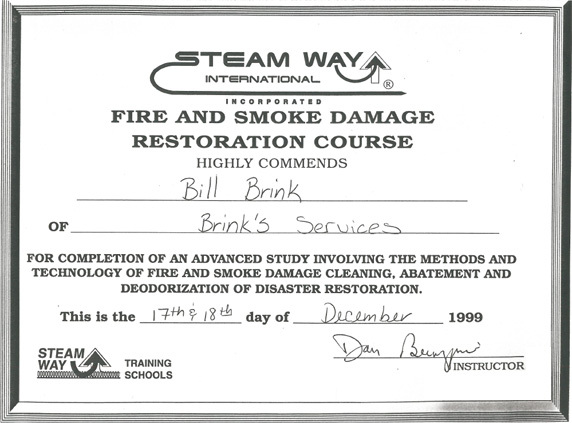 The award is given annually to companies that achieved and maintained a superior service rating throughout the year. 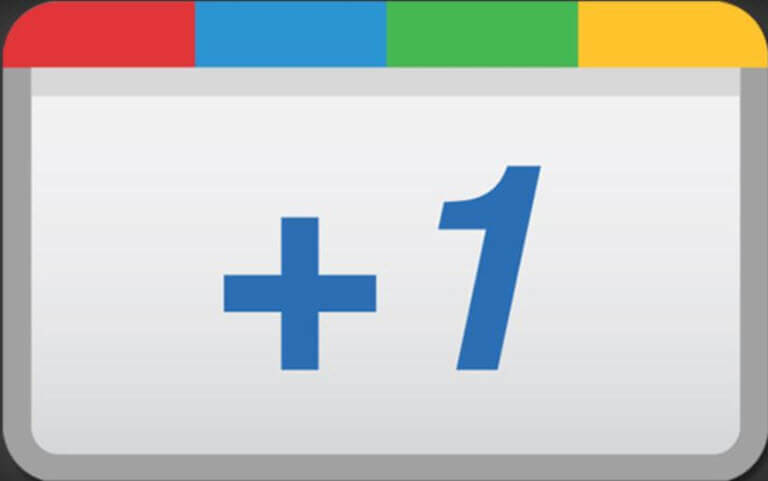 Fewer than 5% of the companies become eligible for this recognition. 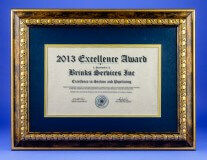 Brinks has received the Angie's List Super Service award for the last 4 years! 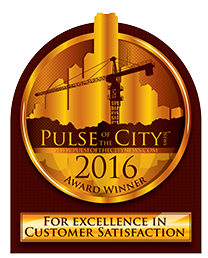 The award is annually awarded to companies that achieve and maintain outstanding service throughout the year. 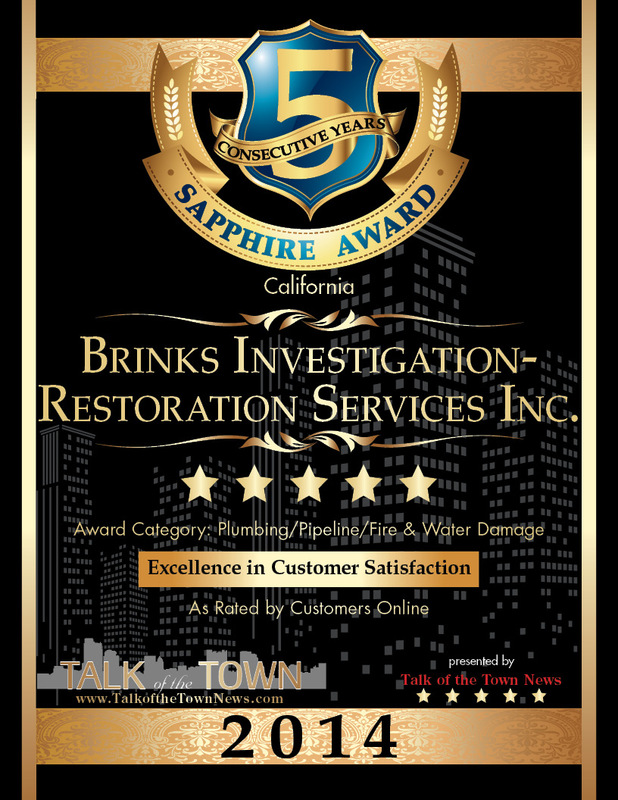 San Diego, CA (May 23, 2014): Brinks has been named a recipient of the 2014 Sapphire Award for 5 consecutive years for Excellence in Customer Care, presented by Talk of the Town News, Customer Care News and Celebration Media. 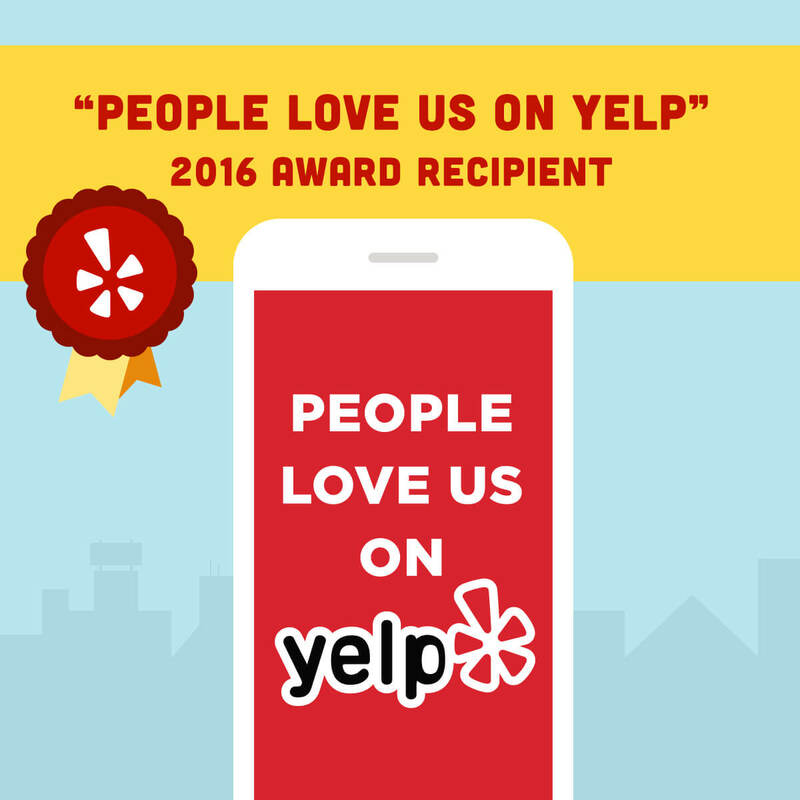 The award honors companies and professionals that provide excellent customer service, as reported by their customers through no-cost, user review websites. 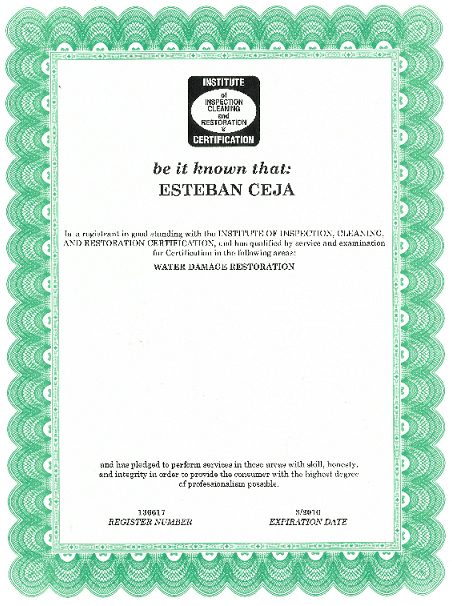 The reviews are analyzed by a team of researchers who calculate a star rating system based on these data, which determines a business' award eligibility. To determine 2015 award recipients, Celebration Media's dedicated team of researchers spent more than 6,000 hours analyzing data from multiple websites that detailed customer's experiences at organizations across the U.S. and Canada. 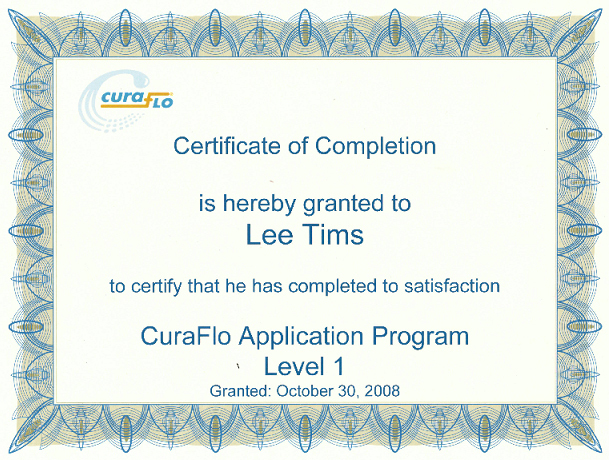 Among the types of organizations and professionals eligible to receive these awards are hospitals, dentists, accountants, physical therapists, veterinarians, optometrists, insurance, chiropractors, lawyers, financial planners, restaurants, bakeries, event centers, home improvement companies, florists, spas, salons and mortgage companies, in addition to several other categories. This is the fifth year Celebration Media, Talk of the Town and Customer Care News have honored companies with its Customer Satisfaction Award for Excellence in Customer Care. For more information about the award or its sponsors, please contact CMUS and Talk of the Town News at 877-498-6405 or visit their website at: www.talkofthetownnews.com.